Results for queries about Islam and Muslims on Google have been updated amid public pressure to lessen disinformation from hate groups on the world's largest search engine. However, activists who have worked to bring about the changes say more work remains. In the past, users on Google seeking information about the religion or its adherents would be presented prominently with what many criticized as propaganda from hate groups. Google's first page results for searches of terms such as "jihad", "shariah" and "taqiyya" now return mostly reputable explanations of the Islamic concepts. Taqiyya, which describes the circumstances under which a Muslim can conceal their belief in the face of persecution, is the sole term to feature a questionable website on the first page of results. Google did not confirm to Anadolu Agency the changes but said it is constantly updating its algorithms. The search giant referred the agency to a recent blog post in which it said it was working to push back on what it called "offensive or clearly misleading content". "To help prevent the spread of such content for this subset of queries, we've improved our evaluation methods and made algorithmic updates to surface more authoritative content," it said. One leading activist in favor of Google modifying its results told Anadolu Agency he noticed the updated search results and thanked the company for its efforts but said "much still needs to be done". Imam Omar Suleiman, who has been at the forefront of efforts to combat misleading information about his faith on the web, argued that Google and companies like it have a responsibility to combat "hate-filled Islamophobia" similar to how they work to suppress extremist propaganda from groups like Daesh and al-Qaeda. 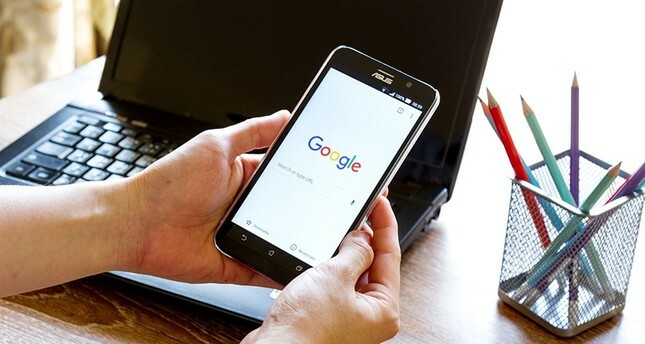 Suleiman said Google should differentiate between "criticism of Islam and hate-filled Islamophobia", emphasizing the religion should not be infringed upon. "Google does not need to silence criticism of Islam and honest discussions about Islam, but heavily funded hate groups that are able to work the SEOs to get their websites showing up on the first, second page-I think that's deeply problematic," the popular imam said, referring to search engine optimization -- the way in which websites are able to improve their placement in search engine results. The task of sorting out legitimate criticism or debate about Islam from misleading information will not be easy, particularly in societies that value freedom of speech -- a fact Suleiman, who is the founder and president of the Yaqeen Institute for Islamic Research, acknowledged. Google told Anadolu Agency it does not seek to remove content from its platform simply because it is unsavory or unpopular, but does its best to prevent hate speech from appearing. One way it is working to improve on the effort is by providing users with a mechanism in autofill suggestions that would allow users to alert the company when an offensive term appears. Amid a nationwide increase in hate crimes targeting Muslims, the effort to combat misinformation is more imperative than ever, Muslim group said. The Council on American-Islamic Relations, the U.S.'s largest Muslim advocacy group, said it tracked a 584 percent increase in anti-Muslim hate crimes from 2014 to 2016. The group is not the only one to find such numbers. The Southern Poverty Law Center tracks hate incidents and groups in the U.S. and said it found hate groups increasing in number for the second consecutive year in 2016, fueled largely by a near-tripling of anti-Muslim groups. "The growth has been accompanied by a rash of crimes targeting Muslims," the center said in its annual report. Information people receive from a variety of sources -- television, radio and the Internet -- no doubt plays a role in fomenting hatred among some of those who perpetrate attacks but could also be used to stop them. "We are seeing a rise in hate crimes towards Muslims, and there is a direct connection between this demonization of Islam and Muslims and the hate crimes that are being perpetuated against Muslims in the United States," Suleiman said. Still, he maintained that such voices should not be censored but "should not be featured prominently as authoritative voices." Suleiman added: "I don't think Google has a responsibility to portray Muslims positively. I think Google has a responsibility to weed out fear-mongering and hate groups but I don't want Google to silence critique of Islam, or critique of Muslims, or critique of Judaism, or Black Lives Matter -- whatever it is. "It's a fair ask that when someone goes to Google they are not being presented with information from hate groups, and representatives of the faith, as well as respectable academics... as if they're all on the same playing field. "We're not on the same playing field."